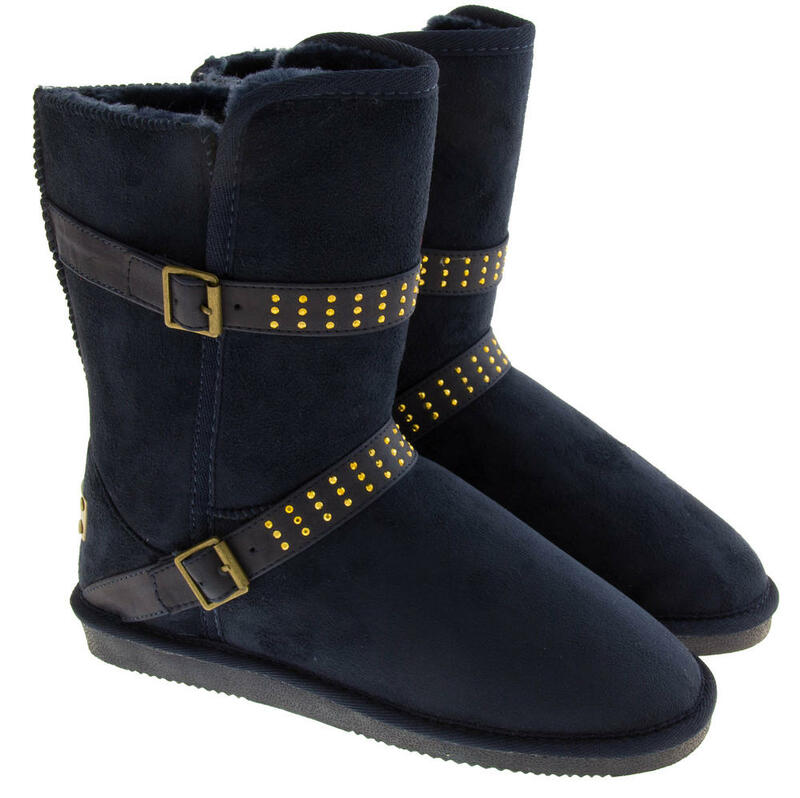 These imitation suede faux fur lined boots are stunning and super soft. 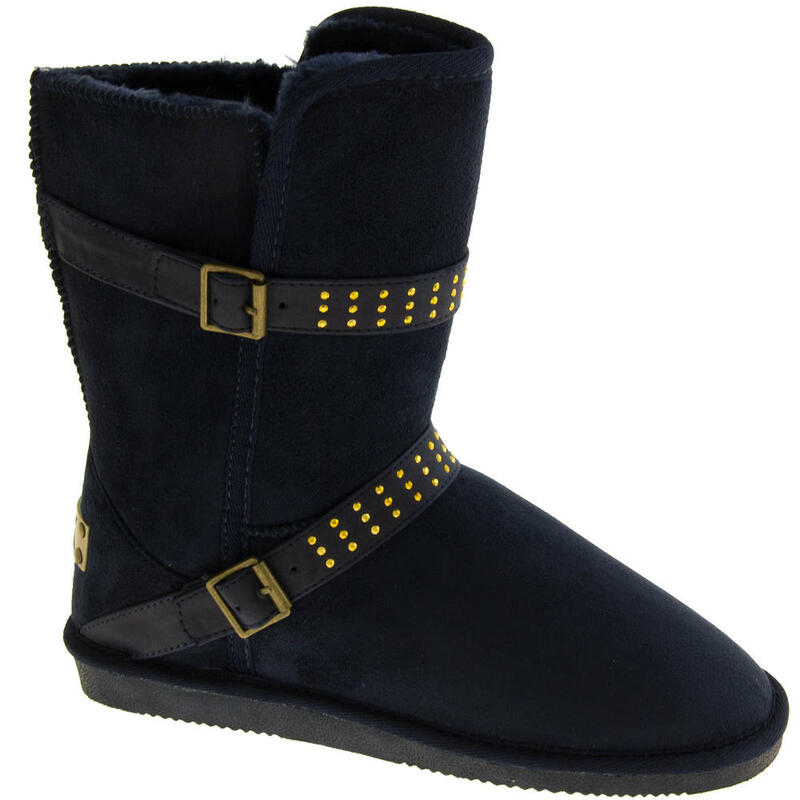 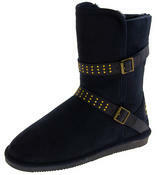 The studded strap and buckle design adds quality and edge to these mid calf punk goth boots. 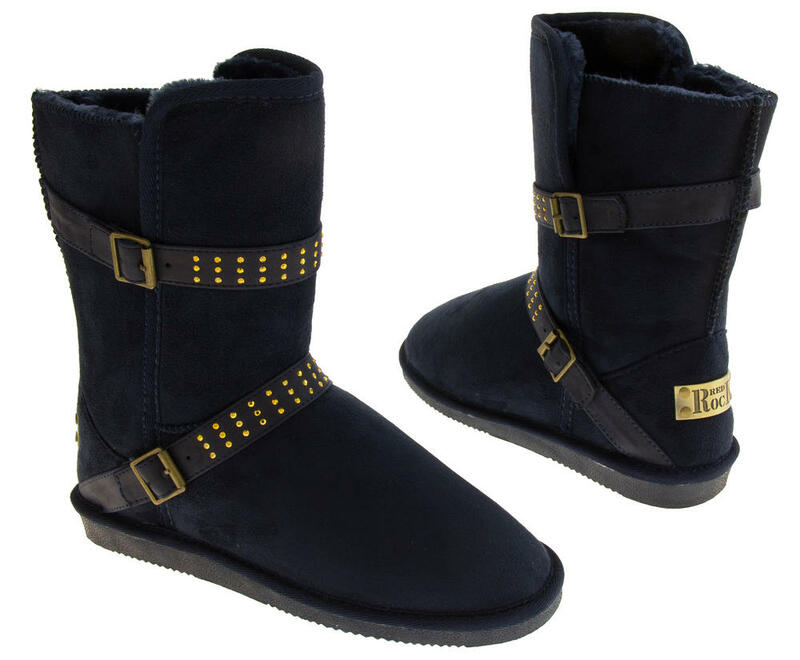 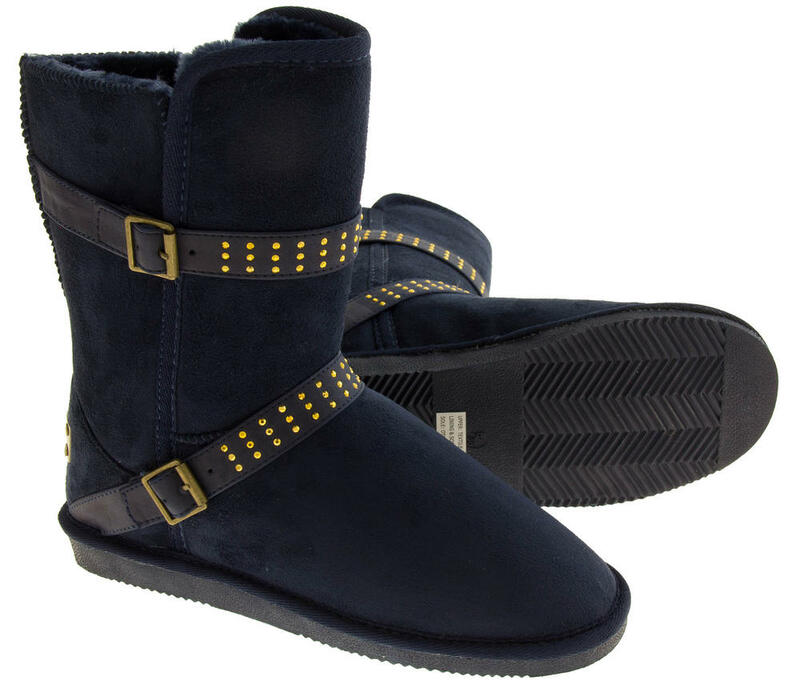 Keep your feet warm this winter in these boots. 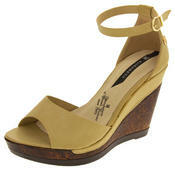 Stunning metal plate detail to the heel that says 'Red Rock'.